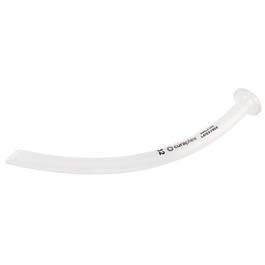 Curaplex latex free PVC nasopharyngeal airways feature a beveled tip with an interior striation for smooth and easy suction and catheter insertion and a trumpet for secure placement. Packaged individually, each airway features a color coded label to clearly denote French sizing. This unique new package design enables immediate and accurate airway selection. Curaplex PVC nasopharyngeal airways are latex free, sterile and single patient use.